The Lewis Man is the second book in the trilogy by Peter May set on the Isle of Lewis. After the excellent The Black House, I was looking forward to the return of Fin Macleod and the myriad of island characters encountered in the first book. In The Lewis Man, Fin has left Edinburgh CID and is drawn back to the island of his childhood with plans to renovate his parents’ derelict croft. A body has recently been discovered in one of the island’s peat bogs and despite the belief that the corpse could be thousands of years old, the discovery of an Elvis tattoo places the murder of the teenage boy in the 1950s. Fin is asked by George Gunn, the island’s policeman, to see what he can discover about a missing teenager from that time and DNA evidence soon links the body to Tormond MacDonald. Tormond is the father of Marsaili, Fin’s childhood sweetheart, and is suffering from dementia. As Fin delves into the life that Tormond has been so at pains to leave behind, secrets emerge and true identities are obscured. Fin also has to cope with the repercussions of having a teenage son, who is himself a father, and the limitations that island life imposes on those who harbour ambitions beyond those offered on Lewis. The book was a very good read with once more beautifully evocative descriptions of island life, with this time the focus on the treatment of orphaned and abandoned children in the 1950s. Part of the narrative is written from the point of view of Tormond whose dementia makes him unable to distinguish the past from the present. The treatment meted out to the young Tormond and his slightly brain damaged brother in a children’s home on the mainland makes depressing reading and I suspect is an accurate reflection of the homes that have thankfully now been closed. I enjoyed the murder investigation although there were some parts when I thought the reader was well ahead of Fin which was probably deliberate but jarred a little. There were also some sections that didn’t quite ring true. 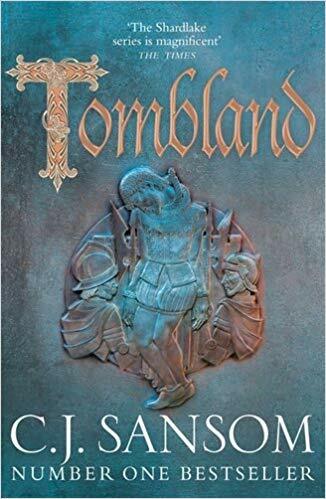 Anyone who has looked into their family history would have been able to point Fin the direction of some resources that would have helped him in his researches into Tomrond’s past. Most of which could have been done over the internet but wouldn’t have made such a good story. But overall the book was an enjoyable read of a time when the harsh physical environment was matched by some unpalatable practices when dealing with orphaned children. And plenty to look forward to in the forthcoming The Chess Men. The book has also been reviewed by Petrona, Eurocrime and The Lit Witch. This series sounds very interesting, and I’m adding it to my monstrous TBR list. Lovely review, Sarah. I am very much looking forward to reading more in this series (or trilogy). I agree some of the plotting is not as strong as it might be but somehow the atmosphere and the writing make up for it. Thanks Rebecca and Maxine. And thanks again Maxine for sending me your copy of the book. I’m tempted by this series, sounds like something I would enjoy! Thanks Shelleyrae. I think you’ll enjoy it.